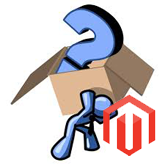 This tutorial shows how to add a new CMS page in Magento. 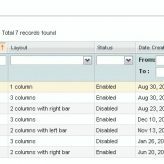 Log into your Magento admin panel by typing “admin” after your domain name in the browser address bar. Click the “Add New Page” button. Type your new page title. Enter the page URL identifier. Note: keep it in mind as you’ll need it in order to create a link to the page. Enable the page using the “Status” drop-down menu. Enter the page content. Note that it should be in HTML format. Once you are done with this page, click the “Design” tab. Here you can select the page layout. Using the “Meta Data” tab you can insert your page description and keywords. Click “Save Page” to save the changes. Now you can see our page in the list. Let’s add the link to the newly created page in the footer block. Select the CMS->Static Blocks menu item. You will be able to see the static blocks available for this theme. We will need to edit the static block called “footer links”. Copy the existing line of the html code with the link. It is the page URL identifier which you were supposed to memorize while adding the new page. Let’s change it. Our identifier for the new page is “new-page”. Change the page title (body of the link) as well. Click the “Save Block” button to save the changes. Now go to your website and refresh the page to see the changes. 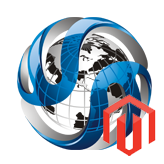 This entry was posted in Magento Tutorials and tagged Magento, new, page. Bookmark the permalink.